Law school is challenging, and students spend a lot of time studying as they work towards earning a law degree. At Widener Law Commonwealth, we value fostering a work-life balance for students. 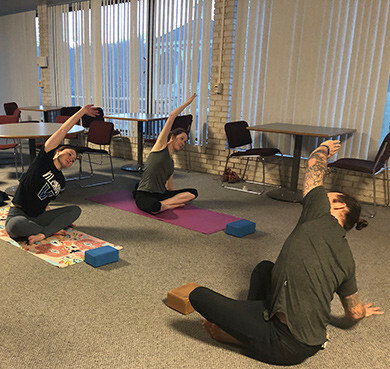 We demonstrate our commitment to this focus on wellness by offering yoga sessions, meditation classes, visits from therapy dogs, and a variety of outdoor recreation activities that support students' overall well-being. Law school is tough. 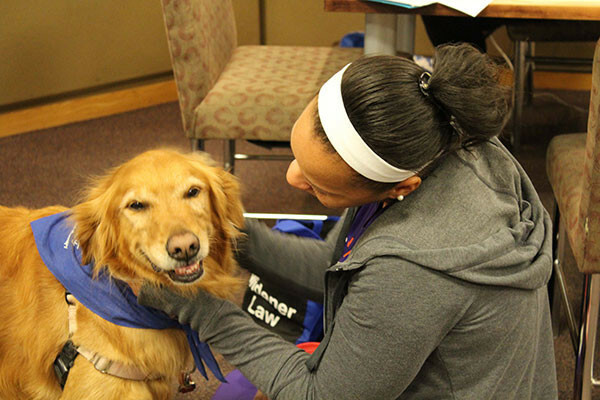 To help make studying for finals a little more bearable, dogs from Caring Hearts Pet Therapy spend time with law students during the week before final exams providing some much-needed stress relief. 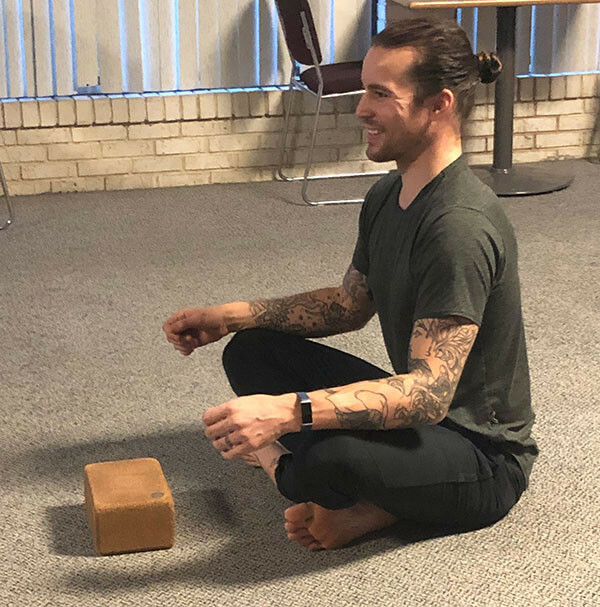 The law school offers a yoga series taught by Ulysses Wilson ‘11 from Om My Yoga in Camp Hill, PA. This class is suited to all levels. Ulysses guides participants through yoga poses focusing on connecting movement and breath. Also led by alumnus Ulysses Wilson ‘11, this series helps relieve stress and incorporate mindfulness into your daily life. The instructor guides participants through a meditation to help connect students to the inner quiet of their practice. 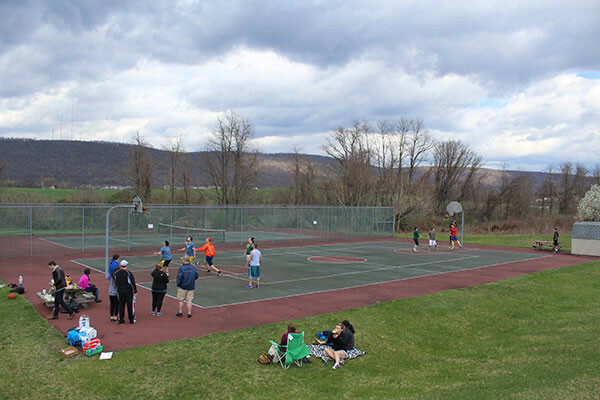 Basketball and tennis courts are available on campus for students needing a break from their studies. The courts may be reserved and sports equipment is available for students to use. A 3v3 basketball tournament is held regularly. This three-mile race course winds through campus and a picturesque adjoining neighborhood. 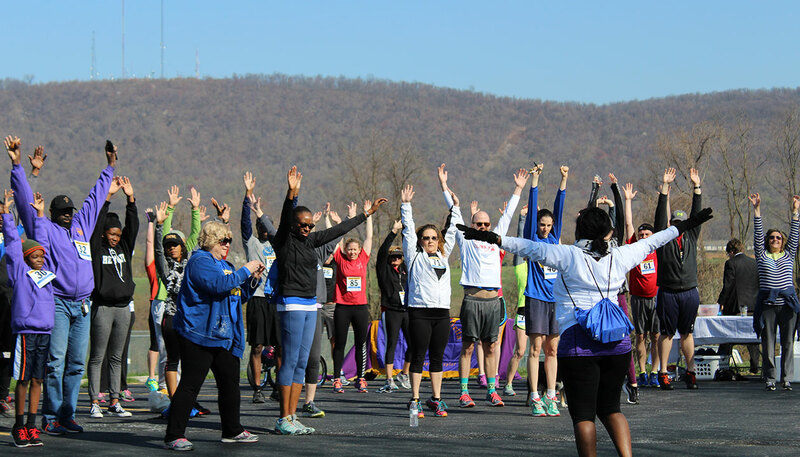 A one-mile fun run is also held. Participants are welcome to walk or run the route. 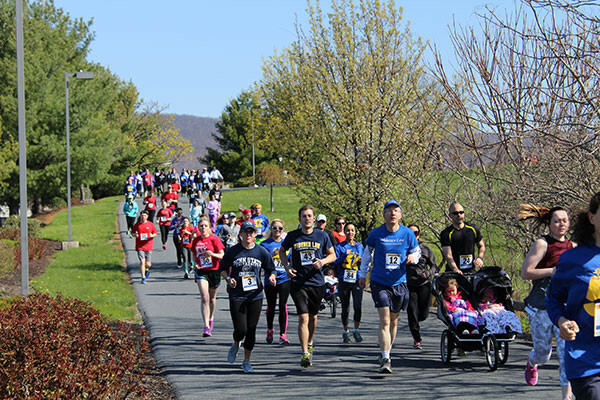 The race benefits MidPenn Legal Services and the Volunteer Income Tax Programs (VITA). Students, faculty and staff gather for this annual family, friendly barbeque. 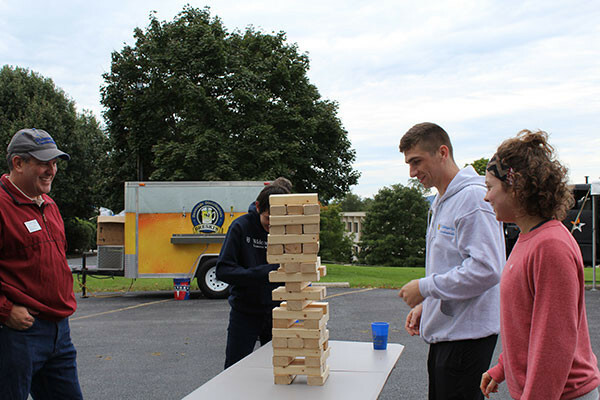 The picnic is held on campus between the Student Organizations building and the Library Building and is a fun afternoon filled with music, games, food and drinks. Planet Fitness: Port View Dr.
Visit the outdoor recreation opportunities page to discover what nature has to offer near campus.